If you have a tree that needs to be removed we can help! Does the tree have a disease, bugs or decay? It’s time for tree removal services. Many homeowners have attempted a DIY tree removal job and have realized that after not having proper equipment, knowing the dangers associated with the job, and the uncertainty of which direction the tree will fall, it isn’t worth the risk. Let Chippers Tree Service show you why DIY tree removal is extremely dangerous and should be avoided at all cost. As professionals we have state-of-the-art equipment to get the job done quickly and the right way. 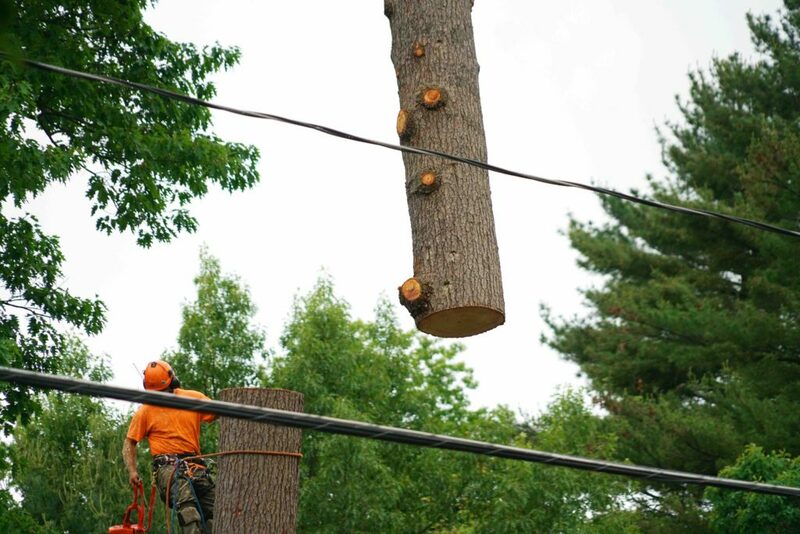 While you may believe you have all the right tools for the removal, you also need to think about the gear you need to wear to ensure your safety while removing the tree and the tools you need to hold up to the heavier parts of the tree so it doesn’t simply come crashing down to the ground. This can be costly and hazardous if not done properly. Tree limbs can be rotten even though they appear to look okay from the outside. If you don’t see this hazard in advance, the limb could easily break under your weight. As experts we are trained to spot these situations and have the proper equipment to successfully deal with the situation. You should also know that if your tree has decay, it is most likely unstable by this point and difficult to control and manage. When it’s removed the pieces can go in every direction rather than falling down in one place. Us arborists know how to handle this and how to properly remove the tree so no pieces of branches of debris goes flying and hit people, possessions or structures. If you are attempting to remove a tree it must be in a controlled manner so it doesn’t fall the wrong direction and cost you a fortune. Chances are, if you are going do the removal yourself you will not know how to precisely measure the fall in order to prevent something serious from occurring. As experts we know how to handle this and avoid any type of injury. These are just a few of the many dangers associated with DIY tree removal jobs. So if you need a tree removal job please contact us for your free quote today: 972-743-9959.